You might not expect my Caribbean family to serve something so distinctly Northern European as gravlax, a salt and sugar-cured Swedish delicacy, but we are equal opportunity gourmands. 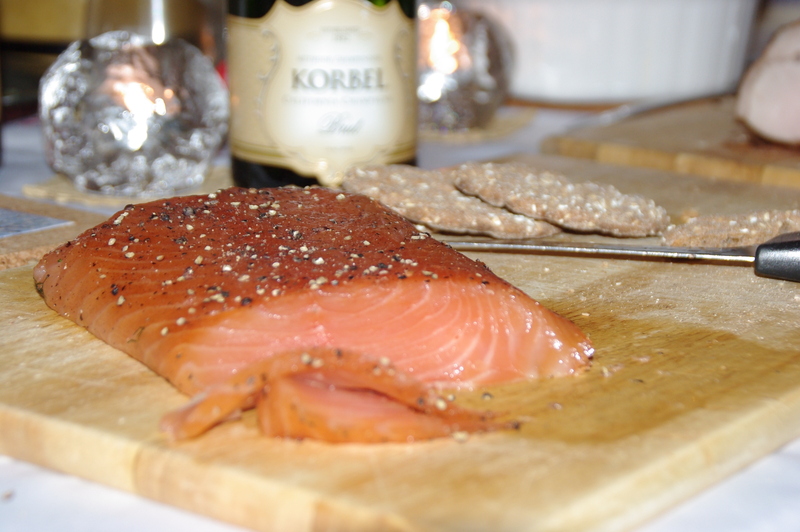 And there are two important sources of inspiration for how gravlax has become a frequent element of our party buffets. I’ll tell you about those and then give you some nifty background on the dish itself! 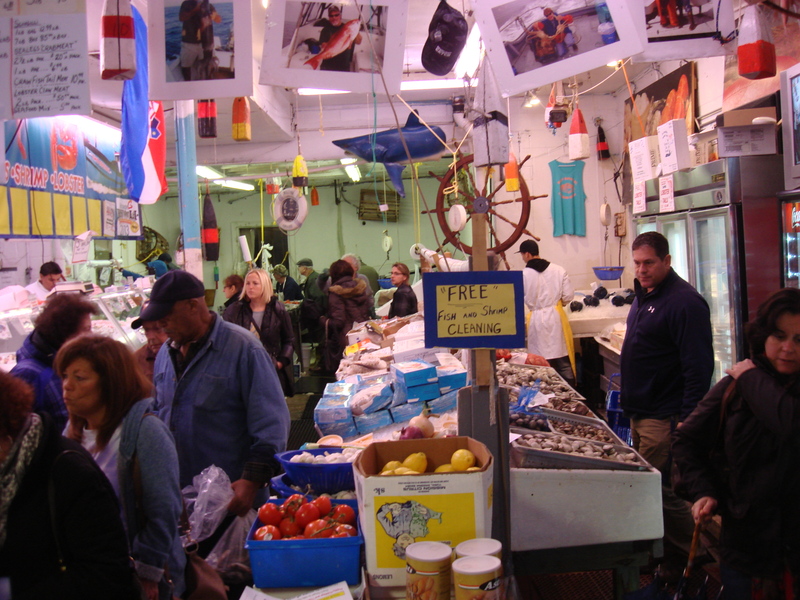 We get ours from Two Cousins Fish Market in Freeport. They are very accommodating to kids and to folks looking for sustainable options. One source of inspiration is my Swedish sister-in-law, Annika, who has introduced us to the joys of Scandinavian cooking over the years and whose recipes have become part of family tradition. Second is Frank Eldridge, the college mentor for both my parents who helped them get together at Springfield College more than a half-century ago and who apparently introduced them to gravlax as well. 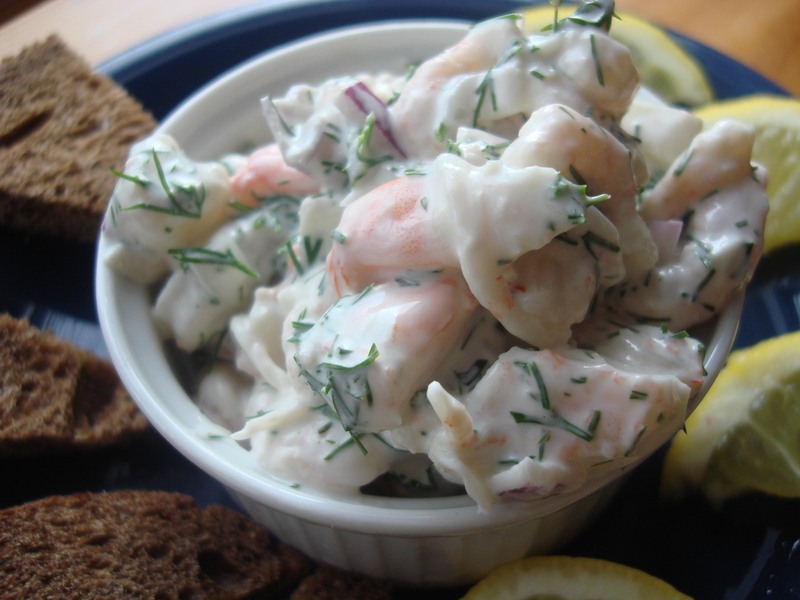 He is no longer with us, but his gravlax is; this is an adaptation of his recipe, sent to us by his wife. The etymology of Gravlax is pretty cool…and not just because it comes from cold weather countries or because it is a fish dish served chilled. Grav refers to grave – in olden times the Swedes used to bury the fish to not just cure it but also ferment it – and lax refers to salmon — which will sound familiar to anyone who has had a bagel with cream cheese and lox! Today’s gravlax is not fermented or buried, but it is lavished with a crazy amount of sugar, salt and dill and then left to transform into a light and elegant piece of fish that you slice really thinly. 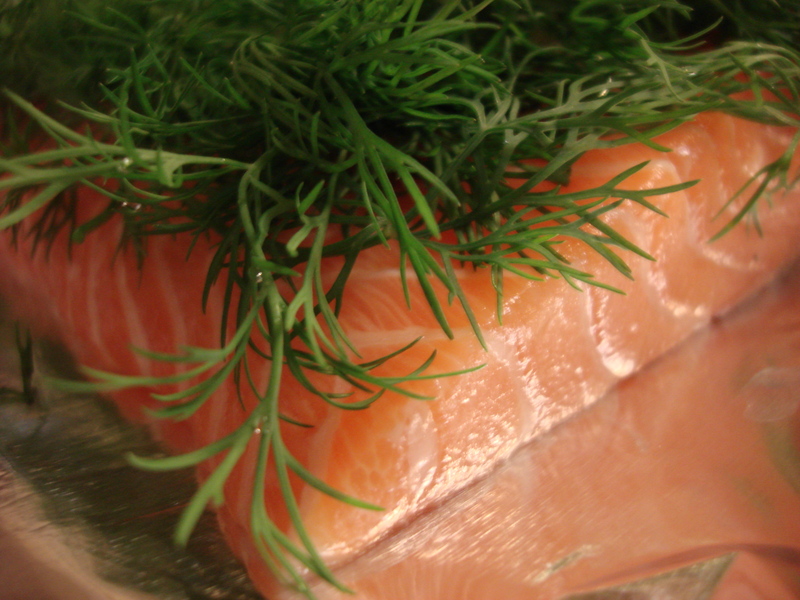 It’s almost like sushi in its tenderness and clean texture, but the dill gives it its own distinct personality. You’ll notice the curing begin on the edges. I happen to like it the longer it stays in the fridge after the curing is done. Some folks say it should be eaten within a couple of days of curing, but I think it is great a little dried from refrigeration a week later! Some folks make all manner of sauces for it. We like it straight. And to be fair…my dad did most of the work on this. It is his baby! 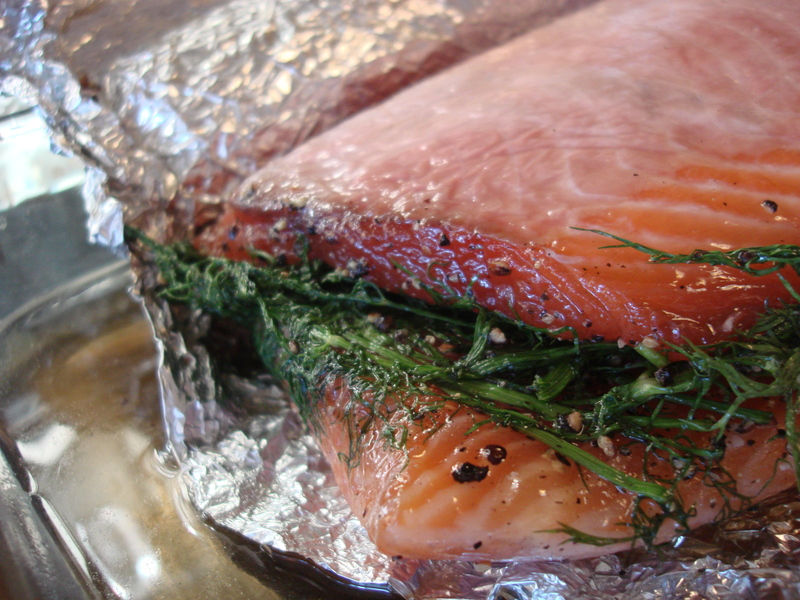 Place one filet skin side down on a large sheet of aluminum foil in a glass, enamel, or stainless steel baking dish. Place the dill on the fish. In a separate bowl, combine the salt, sugar and dried peppercorns and sprinkle the mixture evenly over the dill. Top with the other side of the fish, skin side up. Wrap with the aluminum foil and set a heavy platter – bigger than the salmon – on top and weigh down with a couple of bags of beans. Refrigerate for at least 48 hours and up to 3 days, turning the fish every 12 hours and basting the fish with the liquid that accumulates on the bottom of the baking dish (pulling them apart to baste inside and rewrapping and weighing down each time}. 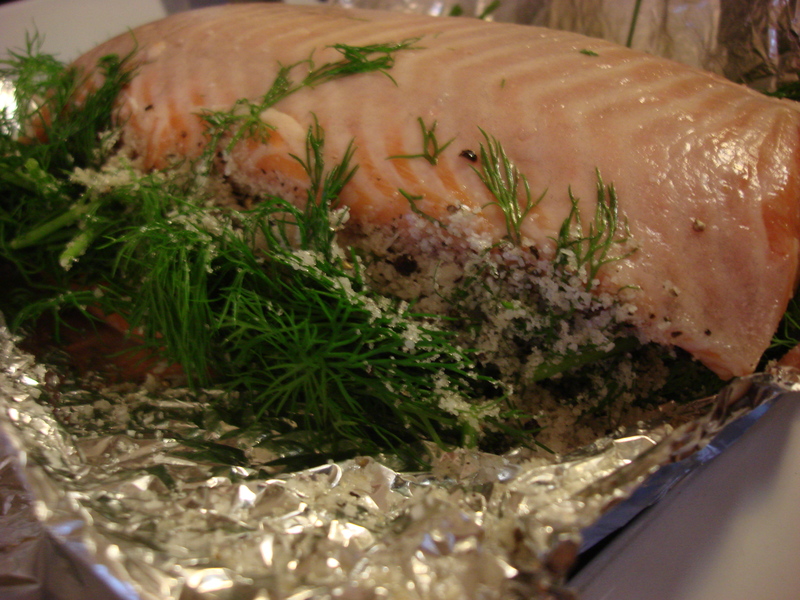 When the gravlax is ready, remove the fish from the marinade and scrape off all the herbs and seasonings and pat dry with paper towel. Serve skin side down, slicing off in thin strips, leaving the skin behind. Natalia dearHeart ~ being Estonian born, this is ‘mother’s milk’ to me and the first ‘recipe’ I was ever taught to do. Have prepared and do so hundreds of times!! Being an utter purist with recipes like these I applaud you for not adding extra ingredients: not that one should not, but it is no longer ‘gravlax’ then! But I am sorry: the correct professional proportion is 2 parts caster sugar, i part salt 🙂 ! [See Viveka – myguiltypleasures : she is the ultimate professional!] Oh and may we have the sweet mustard sauce recipe also as that is the absolutely necessary second half of the dish!! meanwhile all the very bset for 2014!! As I have to get the salmon from Sydney 100 km away, this may not be in the realms of today or tomorrow 🙂 ! But thanks!! Sweet mustard sauce is actually part and parcel of any true gravlax anywhere in Northern Europe. 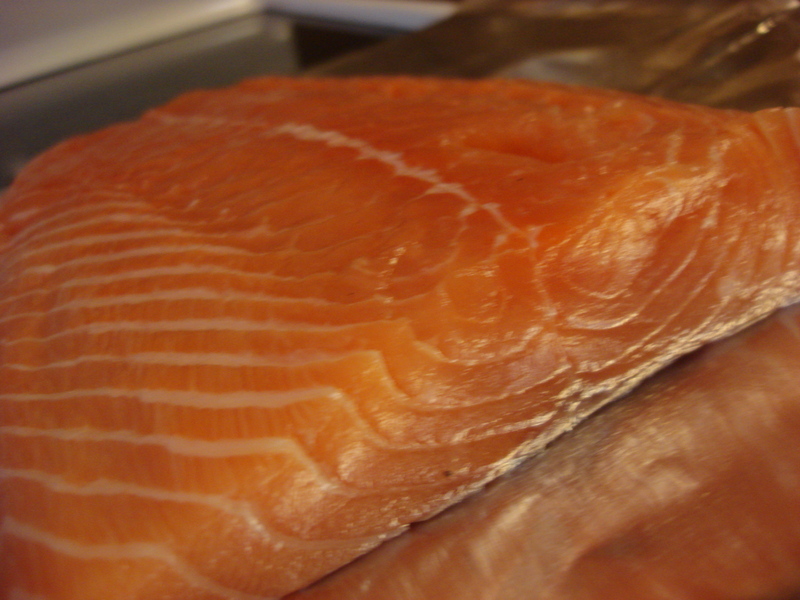 Many chefs make the gravlax as a base for the sauce actually: it is such an important part of the dish. It would be like making osso buco without gremolata 🙂 !. Noticed you asked about Rick Stein . . . He is on our TV and has been for a decade or more with one of his many series all the time? Has also written some very definitive cookery books! Fantastic chef and charming gentleman . . .
Answer #2 : Thanks for the offer . . . do not make it to Sydney too often tho’! Also have cooked European food very rarely during the past few decades. Australia is basically fusion food and 70 % of my dishes are Asian: am researching the differences and similarities of Hunanese/Hainanese/Szechuan at the moment. Also the spicing of Burmese dishes. The closest I get to Europe is the Mediterranean, usually N Africa, very much following in the steps of the fantastic Yotam Ottolenghi these days, with “Jerusalem’ being my very favourite cookery tome!! All the best! Who is Rick Stein? a new person to discover? I’ve never made gravlax, but you make it seem very doable, and we do love it. I’m asking myself, why not try it? If you have a good source for fresh salmon…why not? So delicious….